220 North York Road is a newly constructed 190,226 square foot Class A industrial building situated on 10 acres. 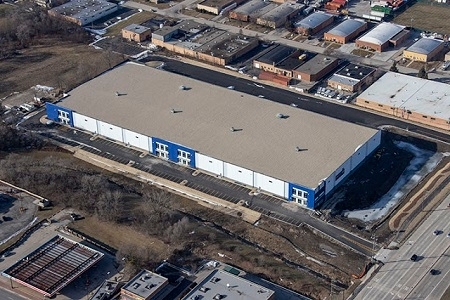 The building is in a premier location at the corner of York and Irving Park Roads directly across the street from the southwest corner of O’Hare Airport in Chicago with ideal access to the south cargo entrance. The building features rear-loaded, 32” clear height, 38 dock doors, 2 drive-in doors, ESFR, LED light, 52x56 column spacing 60’ loading bay. EverWest acquired 220 North York Road on behalf of an institutional separate account with a Fortune 500 company in February 2018.